While the Roulant welcomes people of all generations and walks of life, our activities and programs benefit two groups of people in particular. The exchanges between these two groups, who would not necessarily meet in everyday life, lead to enriching intergenerational ties and a stronger sense of community. Santropol Roulant offers young Montrealers the opportunity to contribute to their community in meaningful ways. Through volunteering, attending or leading workshops, or working at the Roulant as an intern or staff member, new generations are encouraged gain experience and knowledge, share ideas and take on leadership roles in the community. Our meals-on-wheels serves clients living with a loss of autonomy who need support to cook and access healthy food. 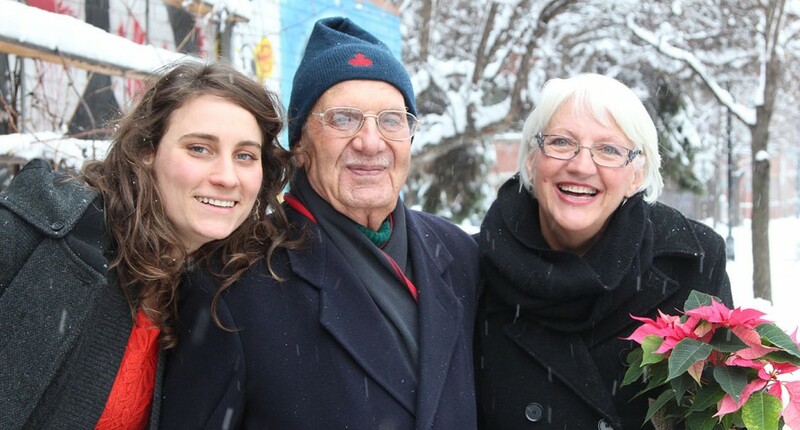 Client-members, 80% of which are seniors, increase their food autonomy and social connections through regular meal deliveries, intergenerational events and a variety of projects and activities where clients take on various roles and levels of engagement. 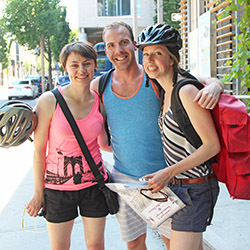 Santropol Roulant provides Montrealers with increased access to healthy and nutritious food. We respond to the immediate needs of our meals-on-wheels clients and give them decision making power when it comes to what they eat. Through our everyday activities, educational workshops and markets, we provide community members with opportunities to develop their skills and understanding of local food production, preparation and preservation. Our choice to grow and purchase organic and have sliding scale pricing for many of our activities and products, are practices that help us make good food more accessible. Everyday, Santropol Roulant creates opportunities for Montrealers to have meaningful, mutually beneficial interactions, and strengthen their ties within the community. A sense of well being gained through regular social interactions can encourage further engagement and interactions in the community. 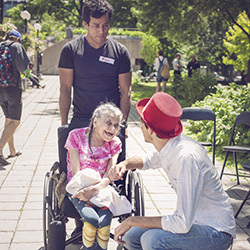 Santropol Roulant offers Montrealers many ways to be involved and have an impact in the community whether it’s by making a donation, volunteering, participating in workshops and events, or becoming a staff member. They can be engaged in these activities to the degree that they seek, regularly or from time to time, as a participant or in a leadership role, and all levels of experience and skills are welcomed. 5 days a week, 52 weeks per year, we prepare, package and deliver 100 fresh, homemade meals in 8 areas around the Mount Royal, thanks to thousands of volunteers each year. From our gardens to the farm, in our meals-on-wheels, preserved goods, general store, farmers’ markets or organic baskets, our local and organic fruit and vegetables can be found throughout the city. The Roulant kitchen, garden, and collectives regularly host hands-on, educational workshops and events that gather the community around themes related to food and intergenerational community building. The Roulant provides physical, financial and human resources to groups of volunteers who are motivated to lead collective projects related to food security and social inclusion.